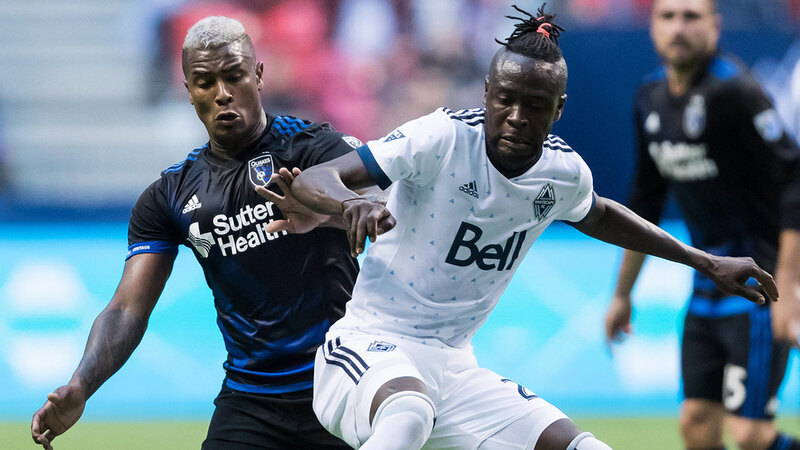 FRISCO, Texas — Anthony Blondell’s substitution in the 68th minute sparked the Vancouver Whitecaps as they climbed out of a two-nil hole to tie FC Dallas 2-2 on Saturday. "It was a tough one. Tough going down two goals, but that’s what they say, ‘don’t give up,"’ said Kamara. "We had a great sub with Anthony (Blondell) coming in making two great plays to get us back into the game, but tough game and we’re happy to go away with one point." Whitecaps head coach Carl Robinson called Blondell’s play after being subbed into the game "excellent." "The guys in the locker room mentioned him specifically, because when you’re a sub, it’s easy to sulk or be disappointed you don’t start the game, but subs are there to come on and make a difference and he certainly did that," said Robinson. "He should have scored earlier. He got a chance when the ball dropped for him and he took too long to hit the ball, but he never gave up. He worked the offside line. He got in-around the back. He created the own goal, and obviously the penalty decision was on him, as well."